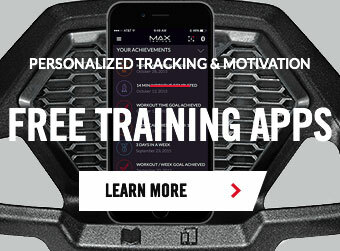 Our best-selling model, the Bowflex Max Trainer® M5i machine. Save time with the breakthrough 14-minute Max Interval workout or choose from 9 other pre-programmed workouts for longer sessions. Either way, you'll get a great cardio workout with an ultra-smooth, low-impact motion that maximizes your calorie-burn. The M5i has: Computer-controlled resistance, Bluetooth® technology, premium grips, backlit display, target-zone monitoring and a compact design that fits almost any space!